Fax users be weary, very weary if you own a fax machine the attack of the black fax is out there and alive. Black fax is something ghastly and could leave many a pocket with financial holes. It is the mother of all faxing pranks. It is the black plague of faxing machines. The black fax attack, as it is now infamously known, is when someone, who feels the tickle of playing a bad prank, sends a fax transmission of one or more pages. Sounds normal enough right? This prank means that every page faxed is a uniform black page. The intention behind this sadistic method is to use up most of the fax machine’s ink, toner or thermal paper as possible which cost the recipient heavily – ink is, after all, the most expensive liquid used in daily life – and also prevents them from using their beloved faxing machine, which could cost businesses loads of capital. 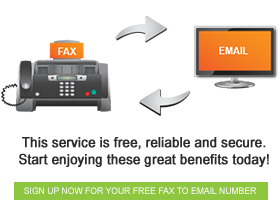 Fax machines are known for compressing a solid black image well and this can be used to the detriment of your fax with one short call which will produce countless amounts of black pages. The black fax is used to harass large institutions, an ex-co-worker seeking revenge or simply just a good old prank. You can bring the positive side out of the situation by using the black pages as decorations or borders for pictures or to cover the ugly peeling paint on the wall. None the less fax users keep a look out for this crippling fax prank! Faxers keep a look out for this crippling fax machine disease.